Want to get rid of “Not Secure” Warning for HTTP Sites in Address Bar after Chrome 68 update? Fret not; the blog post has a workaround. 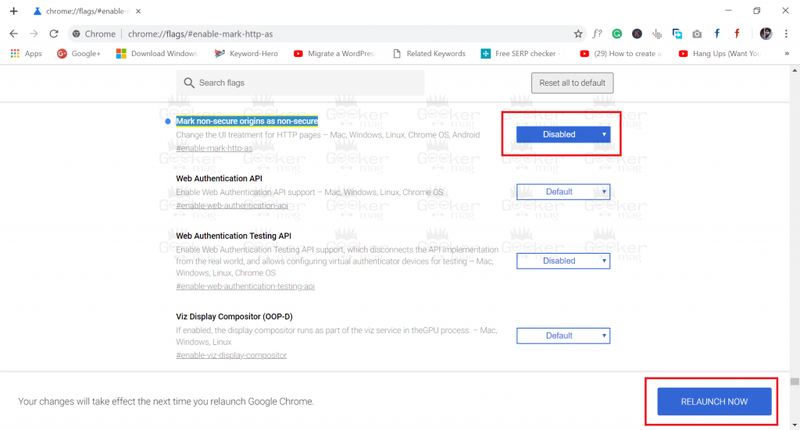 Starting with Google Chrome 68 update, the browser will mark all the HTTP websites as “Not Secure.” Emily Schechter (Security product manager of Chrome) first shares the information via a blog post. By sharing this information, the Google sends a poke toward unencrypted sites. If you’re running Chrome 68 and try to open the sites using HTTP connection, the browser shows “Not secure” warning in the site information box in the address bar of the browser. You might be wondering why Chrome started showing warning message? Most of the sites use HTTPS (Encrypted connection) which offers visitors more security. 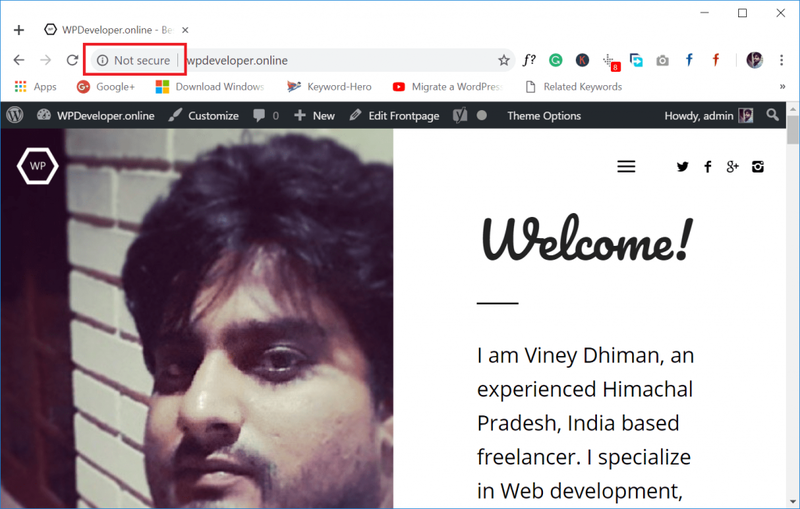 The only purpose Google Chrome began to show “Not Secure” messages to unencrypted sites so that to encourage or force webmasters to transfer their sites from HTTP to HTTPS protocol. 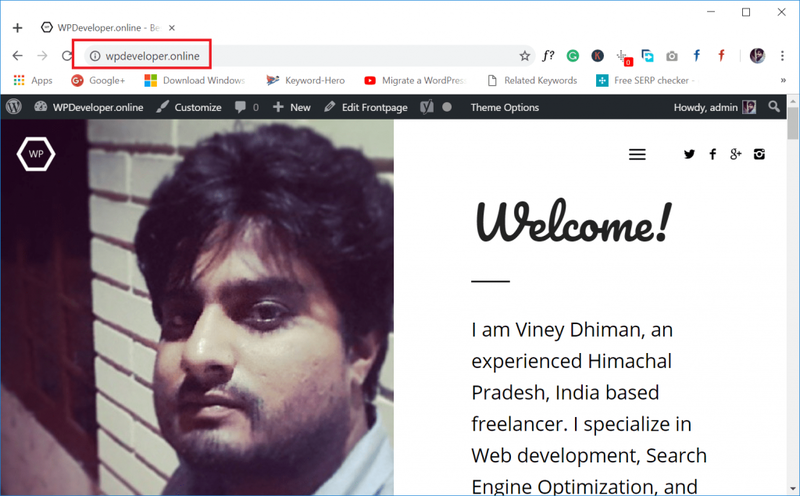 Let’s consider a situation, suppose you know that your favorite site is secure and just because it is not using HTTPS connection, the site is showing a “Not Secure warning message” in the information box. Now what you want is to hide Not Secure message when visiting that site. Right? I know this is why you’re reading this blog post. Fortunately, the Google offers an option using which users can easily disable the feature. That means you can disable or remove the Chrome “Not secure” warning messages from the address bar. 1. Launch the Google Chrome browser. 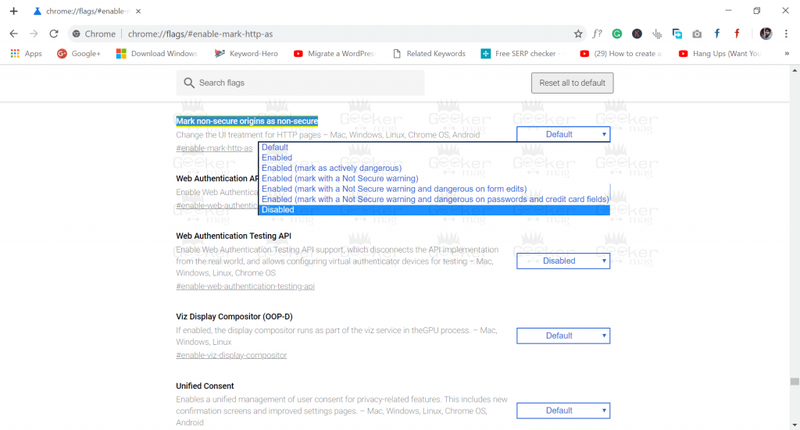 This will open the Chrome flag named as “Mark non-secure origins as non-secure.” With default settings, this option is set to Default. This is the reason; the address bar is showing a Not secure message for non-encrypted sites. To turn this off, click to open the drop-down and switch the setting from Default to Disabled. 4. At last, click on “Relaunch Now” button available at the bottom of the page to apply the changes. This will relaunch the Chrome browser. 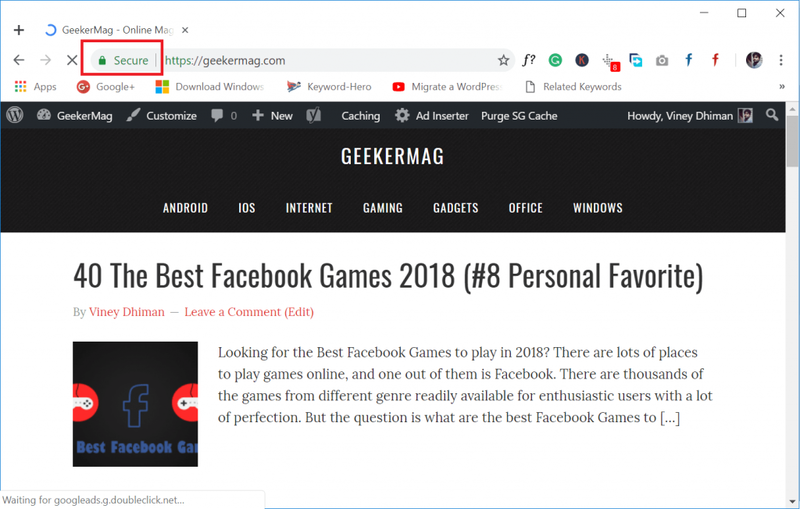 After a successful relaunch, whenever you visit sites Unencrypted sites, the browser will no longer show “Not secure” warning alert in the address bar. It is also expected that these warning messages will be enabled by default in the future version of Chrome browser. 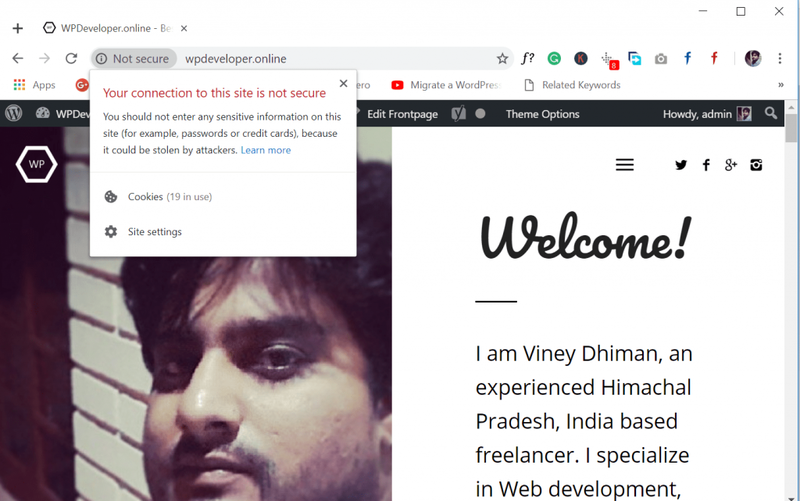 Find this blog post on how to disable “Not Secure” warning for HTTP websites in Chrome 68 useful? 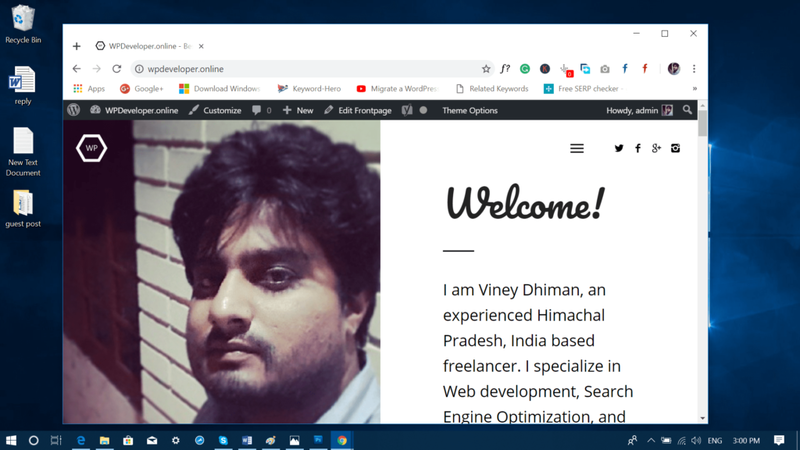 What are your thoughts about this Chrome update? I would like to read in the comments.